Turkish Prime Minister Recep Tayyip Erdogan has created a new controversy about the place of religion in Turkish society, criticizing the mixed nature of student residences, statements denied by the government, according to AFP. “Students girls and boys can not live in the same house, which is contrary to our structure is conservative-democratic” Erdogan said Sunday to newspapers, quoted Monday in front of the Justice and Development Party (AKP) staff gathered in Kizilcahamam, the outskirts of capital, Ankara. According to Radikal and Zaman newspapers, he added that the government will “supervise in one way or another” this problem without specifying whether the student residences mixed, increasingly rare in Turkey, will be separated. Following a meeting of Government, Executive spokesman Bülent Arinc denied the statements attributed to Prime Minister, denouncing “statements invented”. “These statements have nothing to do with reality, “Arinc insisted to the press. “We have absolutely no intention to undertake the review” of student residences. Immediately picked up by the press, Erdogan’s statements provoked a polemic on social networks, where many voices have denounced an attack on privacy. “Turkish government led by AKP needs to be saved before it’s too late. Erdogan seems to push the party to the point of no return “Mohamed Hemish reacted in a message posted on Twitter. 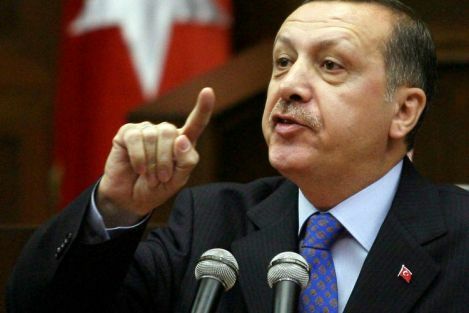 “< Democratisation> of Erdogan’s Turkey authoritarian is a joke. Atatürk (Mustafa Kemal, the founder of modern Turkey) would turn in his grave”, wrote Wim van Wegen in a message posted on the microblogging website. “Recep threatens a bit much. Need to understand that Turkey is not Saudi Arabia”, wrote a reader with the pseudonym” ‘Alkan Alkan ‘ on the website English language Turkish newspaper Hürriyet Daily News. A leader of the Republican People’s Party (CHP), the main pro-secular opposition movement in the Turkish parliament, Erdogan asked explanations on these statements. “By <supervision > you mean that you intend to do, as do police authorities in Iran to control the students clothing? This is not an attack on privacy? Students are “big” enough to decide them-selves about their life “said Umut Oran, an influential member of CHP in Parliament. In power from 2002, Erdogan is accused that wants to “Islamize” Turkey – Muslim majority but which is officially secular since the founding of the Republic, in 1923 – by the multiplication of all visible references to Islam. During political revolt without precedent that affected Turkish regime in June, many demonstrators who marched in the streets of major cities in the country have denounced a new law limiting the consumption and sale of alcohol. During a series of measures intended to “democratize” Turkey, Erdogan has recently authorized deputies to wear headscarves in Parliament headquarters.